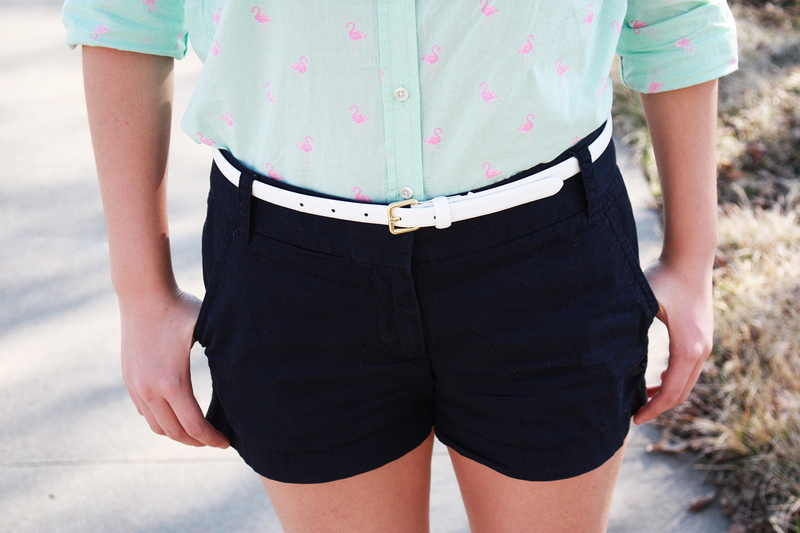 I don't think this outfit could get any preppier. Well I'm not wearing any monograms so I take that back; it can. 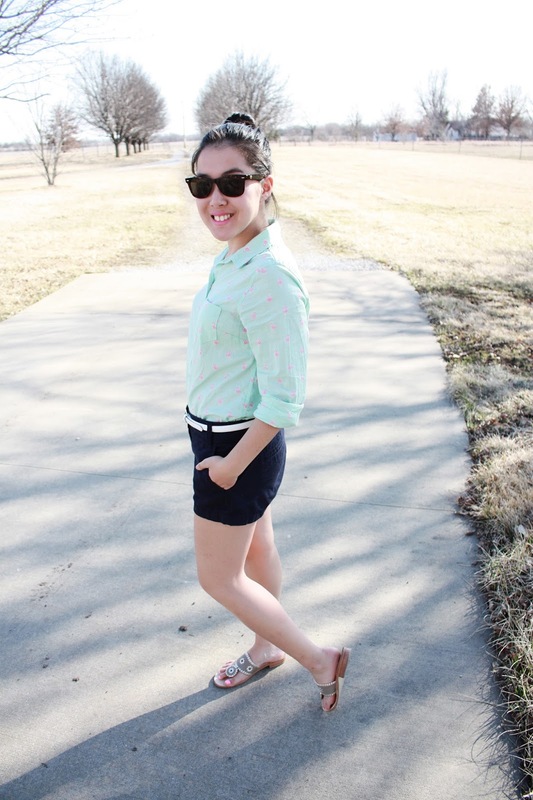 I wore this outfit when I was running errands with my mom and it was glorious to have some sun on my poor pale legs. It did get a little bit toasty in a longsleeve shirt but it's pretty light so I wasn't too uncomfortable. Sadly though the shorts weather has temporarily left us :( But it will return again very, very soon. Back to the outfit. I seriously love this shirt. I saw it at Target and there was no question about it coming home with me. I mean it's mint, pink and it has flamingos on it! Everything I look for in a shirt! In this outfit I feel like I should be walking down the dock in Nantucket waiting to get onto my boat with all the preppy bloggers. 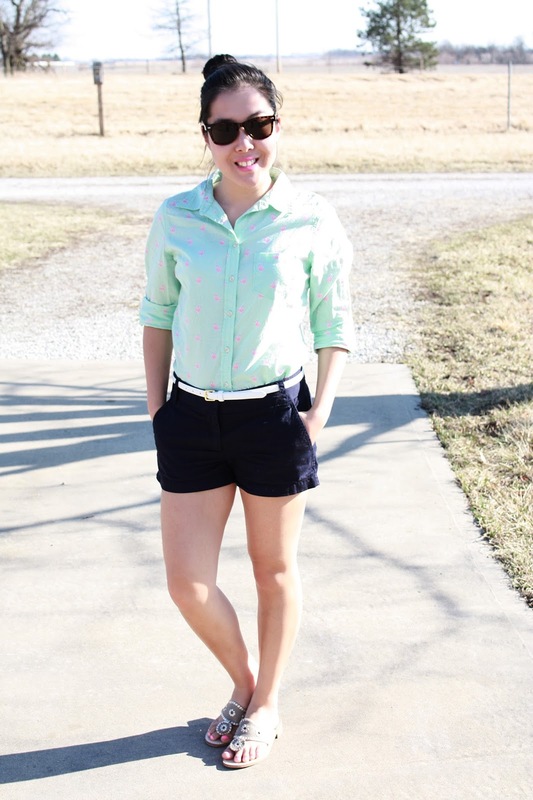 This is such a classic prepster look and I'm #SorryNotSorry. I love the timeless, classic and put together look of a lightweight button down, Chinos and Jacks. I wear some variation of this outfit a bunch in the summer. It's so simple and comfortable, you can't go wrong! And this shirt is one that will be worn a bunch. 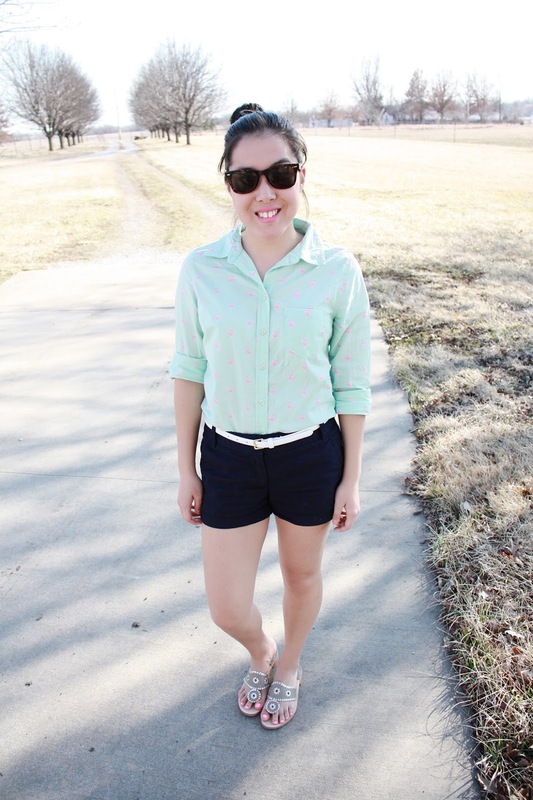 It's adorable, fun, bright and perfect for the warm season!